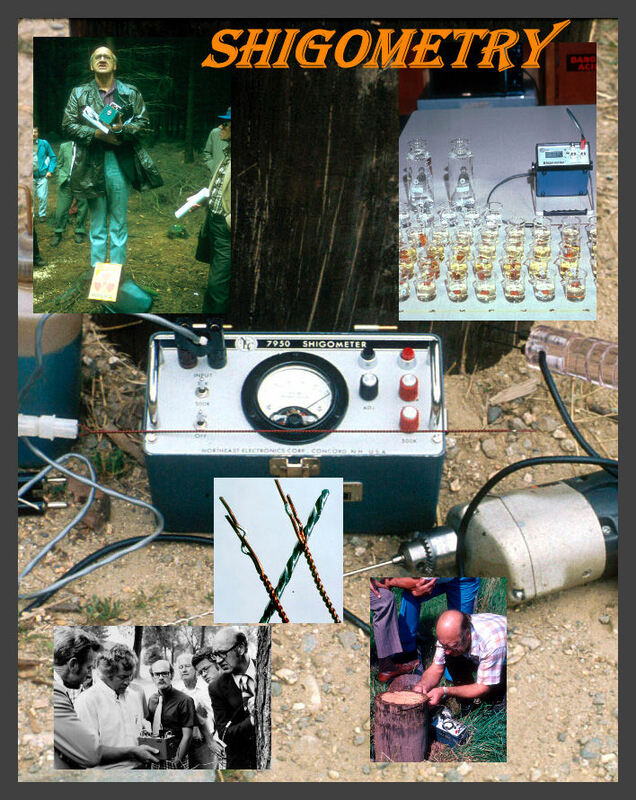 Image Source - TREES, ASSOCIATES, and SHIGO (2 CD set).Shigometry - The Shigometer is a battery-operated, lightweight field ohmmeter. It generates a pulsed direct electric current and registers in thousands of ohms (kO) the resistance to the current as it passes through wood or bark. Shigometry is a method that uses patterns of electrical resistance to help detect decaying wood in trees and wood products, and to determine relative vitality of symplast maintaining trees. Electrical resistance can be measured with any device that produces a pulsed direct electric current and has an ohmmeter to measure the resistance to the current as it passes through a substance. Most of the results from experiments using Shigometry have used a device called a Shigometer. This device is a light weight, battery operated, field worthy, meter that produces a pulsed direct electric current, and measures the resistance (up to 500k ohms) with an ohmmeter. The meter is only one of the tools required for this method. The unique tool, however, is a single electrode that sends and receives the current. Two copper insulated wires are wound together to make the electrode. The tips of the electrode consist of 2 wires, each with a bow, or turn, that has the insulation removed. The electrode is inserted into the wood through a small hole (drilled with a battery-powered drill). 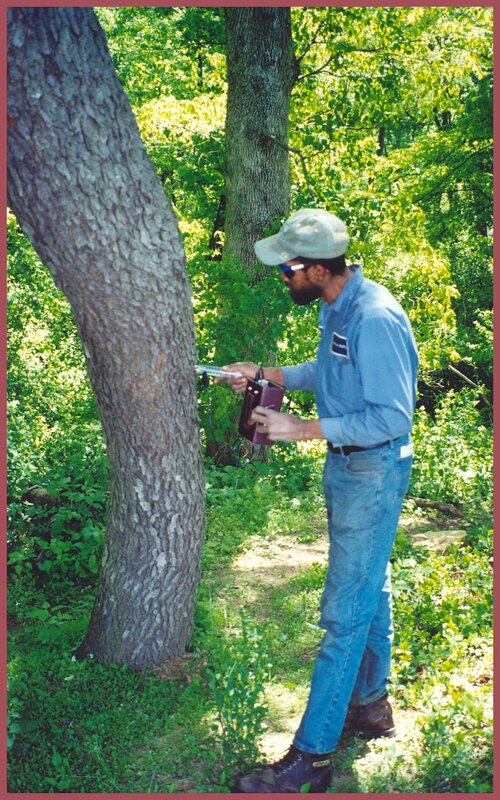 The holes can be drilled up to 12 inches into the tree, or wood product. As the tip of the electrode touches the wood surrounding the hole, the current goes into the wood, and back to the ohmmeter, through the other wire. When sudden decreases in electrical resistance occur, decaying wood is suspect. The method takes skill and practice. It is best to practice on recently cut logs and to see the patterns of electrical resistance as the electrodes are inserted through a drill hole. The method demands an understanding of CODIT. The method is not easy. Another electrode, is used to determine relative vitality of trees. The needle electrodes are pushed into the bark until the wood is touched. The electric current goes into the bark through one needle and after the current passes through the bark and wood it returns to the ohmmeter through the other needle. The wider the cambial zone, the more vital the tree. This method for determining vitality also requires a great amount of skill and practice. At least 20 trees of one species must be measured to determine the mean resistance. Care must be taken when the method is used when trees are beginning to grow in spring and when trees are going into dormancy.